What started as a small vegetarian food joint in 1974, at Moledina Road, opposite West End Mall, Ram Krishna today, is Pune’s most sought-after multi-cuisine family restaurant serving over 500 patrons every single day. An expert in South Indian cuisine, Ram Krishna is always bustling with crowd, especially during weekends. We recommend you visit this legendary restaurant for a stuffy Saturday brunch or a Sunday morning breakfast. Try their butter rava dosa for INR 70 and their classic medu vada with sambar and chutney for INR 65. If you want to eat something light, their simple yet delicious chatni sandwich for INR 40 along with a cup of steaming filter coffee are a must-try. 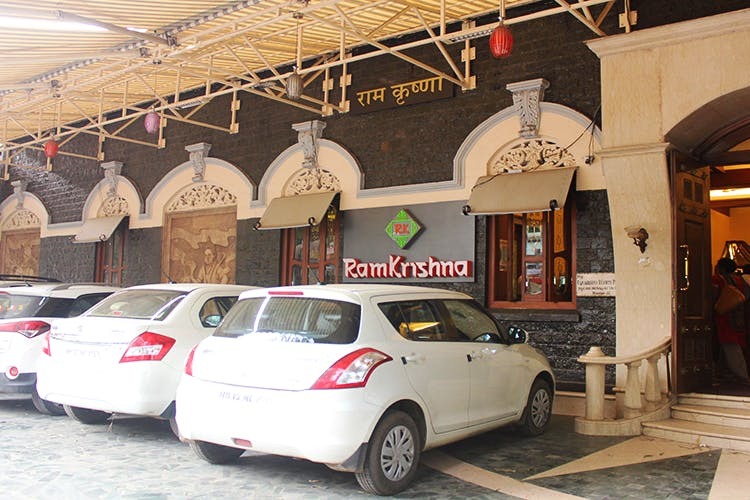 Visit Ram Krishna and not try their famous khada cheese pav bhaji with extra butter for INR 135? That’s impossible! Although people usually come here for the veg North and South Indian cuisine, their Chinese dishes can be given a try. We loved their paneer 65 in burnt red chilly sauce for INR 200 and the diced veg with almond and cashew for INR 210. Another major hit at Ram Krishna is their dry fruit milkshake that come in 10 variety of flavours. We tried and we loved the kaju and the badam pista milkshake. The drinks are not very sweet on the palate; the natural flavours of the dry fruits balance out everything else. Spend some quality time with your family at Ram Krishna this weekend. The ambience is good, food has always been great and there’s no end to the heartwarming memories out here. However, whenever you go, we suggest you book a table first.